The change is primarily designed, I think, to help provide relief to targets of domestic violence who come to Wisconsin from another state, but who continue to be victimized by someone who resides in another state. The measure is also being touted in the media as one designed to protect victims of cyberbullying. But will it? First of all, it is unlikely that this change will have any significant impact on teens who are being cyberbullied, since research shows that most of the time they are mistreated by others from their own school (within the same state). While it is more common for adults to be harassed online by random people from further away (especially via commenting on blogs or articles), I still struggle to see the effectiveness of this law in preventing that from happening. As an example, if a judge in Wisconsin issues a restraining order prohibiting someone in Minnesota from contacting me in Wisconsin, and that person did subsequently contact me, could the Wisconsin State Patrol go over to Minnesota to arrest that person? Or could Wisconsin request the Minnesota State Patrol do it for them? Would the harasser be extradited from Minnesota to Wisconsin to stand trial for the charge? My understanding of the inter-state jurisdictional issues involved would lead me to answer ‘no’ to all of these questions. 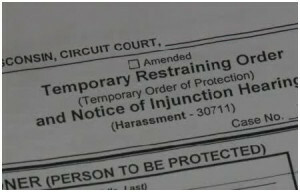 The most that could possibly happen if a restraining order is violated by someone from outside the state is that a Wisconsin judge would issue a bench warrant. Then, then the next time that person is found to be in Wisconsin (perhaps they are pulled over for speeding when traveling through the state) they would be arrested on the warrant. But I think even this is highly unlikely. I ran this scenario by a friend who is a circuit court judge in Wisconsin, and he confirmed my skepticism about the practicality of this change. Some of these issues have been worked out previously with respect to domestic violence cases specifically (e.g., handling of restraining orders that cross state borders), but nothing that I have seen focuses on harassment—especially when perpetrated online. “Traveling” across state lines for the purpose of stalking someone is a violation of federal law, but that would be handled in federal courts, not state courts. So, what then is the point of this law change? Frankly, I’m not sure. I suppose symbolically it is saying that the state of Wisconsin will not tolerate abuses of its citizens from people in other states, but the symbolism falls flat the first time it is learned that the law is practically unenforceable. If our state government was interested in making a change that would have both symbolic and practical application, legislators and Governor Walker should remedy the fact that our state is the only one in the U.S. whose anti-bullying law does not explicitly include reference to cyberbullying or other electronic forms of bullying. How is this possible – especially since I have been doing this work while living in the state for over a decade? Thankfully the state Department of Public Instruction model policy does include mention of cyberbullying. But there are many more useful legislative changes that could help educators, parents, and others tackle the problem of bullying in Wisconsin. If you are a legislator in Wisconsin and want to do something meaningful, I am here to help.